The six prong solitaire setting was invented by Tiffany in 1886 and has been a classic ever since. 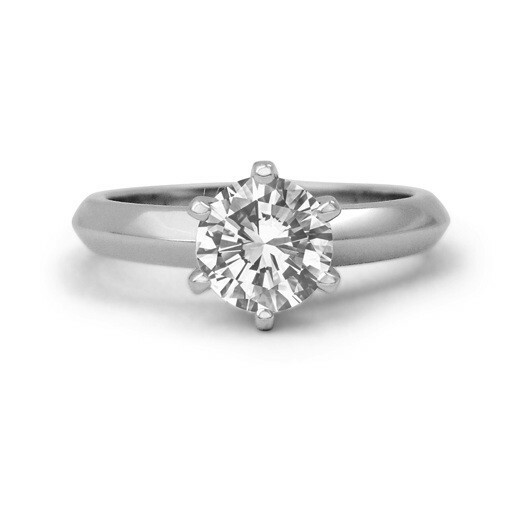 We've used the six prong setting in several of our diamond engagement rings, including this simple, streamlined version of the timeless classic. It will make any size diamond sparkle in platinum or any colour of gold.